Curb appeal is important in all aspects of construction, not just the housing market. When customers visit a business, their first impression begins to form from the moment they start their approach to the building. A clean, crisp lawn can make a world of difference in making a great first impression for any business, but the commercial applications go beyond lawns. Throughout Albuquerque, city parks and playgrounds, schools, churches, and more can all benefit from having artificial grass installed at their locations. Generally, landscaping is a large expenditure every month, so commercial-grade synthetic turf can help businesses save money. Saving money is always an important selling point for architects and designers, which is why our artificial grass is the ideal solution for New Mexico architects. Artificial grass is a great way for businesses to save money in the long term. 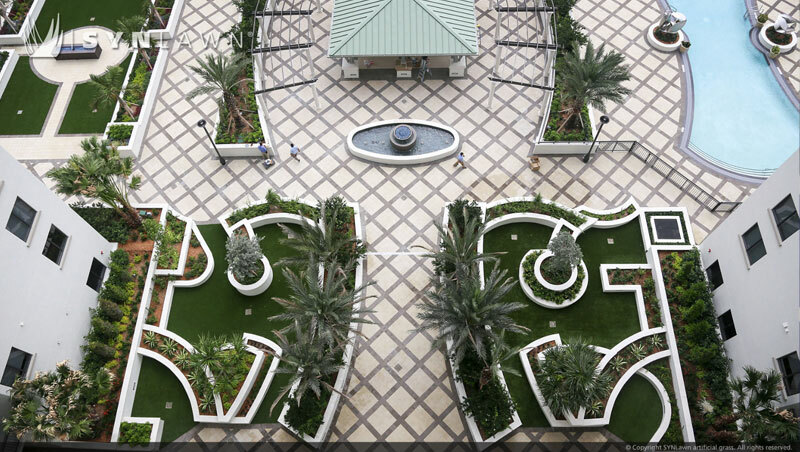 Since commercial synthetic turf does not require watering, mowing, weeding, or fertilizing, companies can put the money that would previously go to landscaping to other uses. That money can now be invested in growing the company, advancement for employees and much more, all of which are points that an architect can point out to a client in the project design phase. 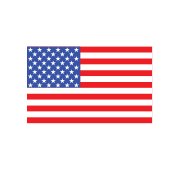 SYNLawn® is the largest artificial grass manufacturer in the United States and our landscaping turf is the most technologically advanced turf anywhere. While we do offer DIY installation options, we are so confident in our product and professional installation services that we back our turf with an industry-leading warranty. 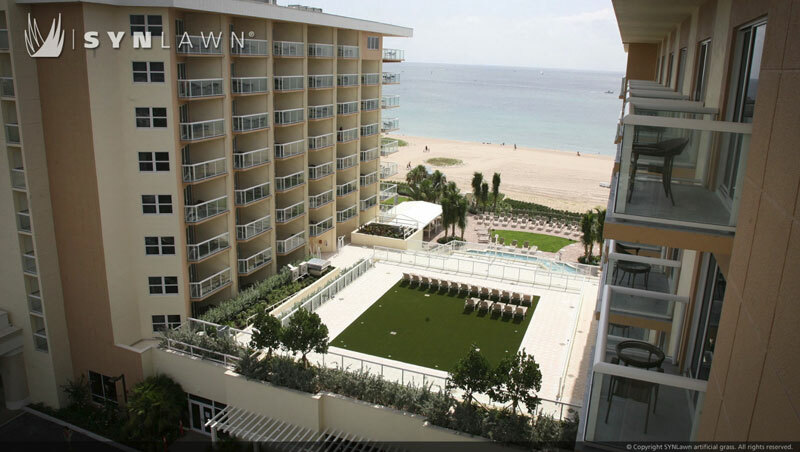 Architects and designers all over the country choose SYNLawn® as their supplier of commercial synthetic turf and we are proud to bring that same reliability and service to Albuquerque, New Mexico. 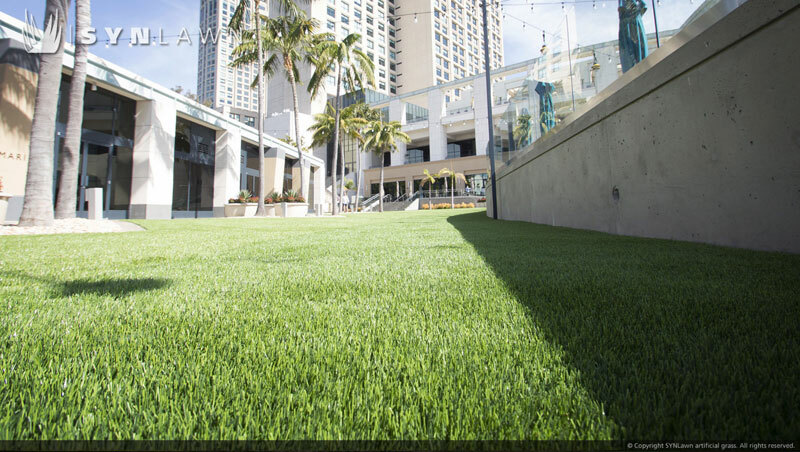 If you are an architect or landscape designer in the Albuquerque area and looking for quality artificial grass, get in touch with SYNLawn®. Call us at 505.890.8889 or contact us online today for a FREE consultation!